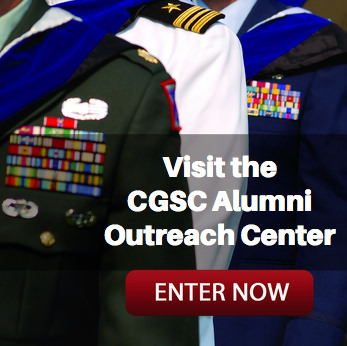 The passing of a friend | Command and General Staff College Foundation, Inc. 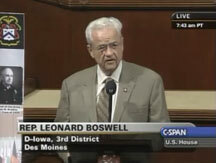 I received news over the weekend that Leonard Boswell, of Des Moines, Iowa, had passed. 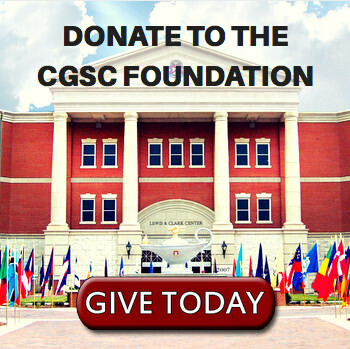 Most people outside of Iowa don’t know who he is, but he is someone that we here at CGSC and the CGSC Foundation know or should know well. Leonard was a retired Army lieutenant colonel, a Vietnam veteran, a former CGSC instructor, a member of the CGSC Hall of Fame, a civic leader in Iowa, and a 16-year U.S. 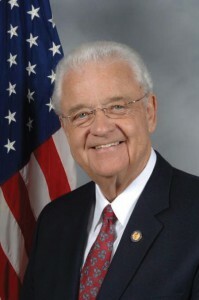 Congressman from the state of Iowa. He has a listing in Wikipedia based on his long record of service to the nation he loved. He was 84 years old, had been married over 50 years to his wife Dody, and had three children. Rep. Leonard Boswell of Iowa along with CGSC Commandant Lt. Gen. Robert Caslen Jr. and Combined Arms Center Command Sgt. 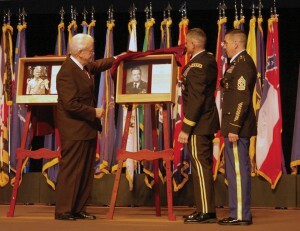 Maj. Philip Johndrow unveil his shadowbox during the CGSC Hall of Fame induction ceremony May 11, 2010, in the Lewis and Clark Center’s Eisenhower Auditorium, Fort Leavenworth, Kan.
Rep. Leonard Boswell (D-IA) presents H.R. 1177, the “5-Star General Commemorative Coin Act,” on the House floor June 16, 2009.– Click the photo to watch the video. Foundation Chairman retired Lt. Gen. Robert Arter presents a gold $5 coin of the 5-Star Generals Commemorative Coin collection to Iowa Congressman Leonard Boswell in appreciation for his efforts in getting the coin legislation passed. Boswell was in attendance at the Foundation’s board meeting March 13, 2014. Lt. Col. (Ret.) Boswell served in the U.S. Army from 1956 to 1976. He was drafted in 1956, graduated from Artillery Officer Candidate School, and worked through the ranks. He had two combat tours in Vietnam as a helicopter pilot. He earned the Distinguished Flying Cross twice, the Soldier’s Medal for noncombat bravery at risk of his own life, the Bronze Star Medal twice, the Vietnamese Cross of Gallantry with two stars, and several other awards and decorations. 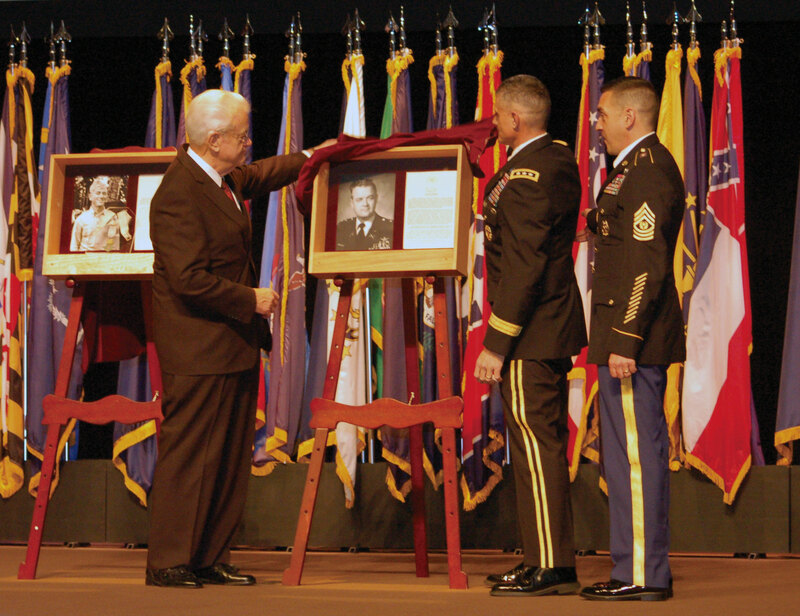 Boswell is a member of the Fort Leavenworth Hall of Fame, having been assigned to Fort Leavenworth first as a CGSC student from 1967 to 1968, and then again as an instructor in the Department of Tactics from 1974 until his retirement in 1976. After retirement, he went back to his family farm in Iowa and became involved in politics. He ran for the state senate, rising to President of the Senate. He then ran for and was elected eight times to the U.S. House of Representatives. His record of service in the U.S. House of Representatives is replete with bi-partisan efforts to support our veterans and their families. 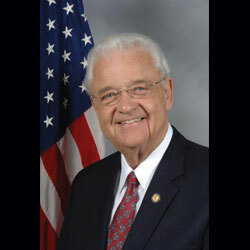 He was also a champion of the family farm and farmers including sponsoring various farm bills. 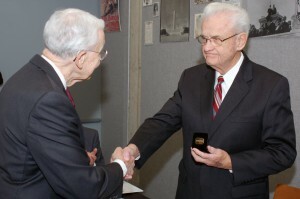 Of particular note to the CGSC Foundation, Boswell was the key legislator in the House who worked across the aisle with Senator Pat Roberts of Kansas to pass the bill that established the “5-Star General Commemorative Coin Act” that was signed into law by President Barack Obama authorizing the U.S. Mint to produce the 2013 limited edition MacArthur five dollar gold coin, the Eisenhower and Marshall silver dollar, and the Bradley and Arnold fifty-cent piece that commemorated the generals. For those of you that have not had the chance to see the coins, the back side of the coins commemorate CGSC. The coins were sold only during 2013 in limited numbers including a three coin set, individual coins, and a “profile” set which included the silver dollar and the fifty-cent piece along with a bronze replica of the MacArthur Congressional Gold Medal. The surcharge from the U.S. Mint for the sale of those coins provided significant financial support to the foundation. I first met Leonard in March 2014 when our Chair at the time Lt. Gen. (Ret.) John Miller presented him with the five-dollar General MacArthur gold coin in a presentation box in recognition of his life of service and his specific support for veterans and the foundation. I had the honor to give him a CGSC Foundation coin because he noted he had never had a CGSC challenge coin and wanted to challenge the members of the board to buy his drinks, which he then did with rather reckless abandon that evening. He was the epitome of a gentleman, soft spoken and principled. To know him was to admire and respect him. On behalf of the CGSC Foundation Board of Trustees and staff, I want to offer our deepest condolences to retired Lt. Col. Leonard Boswell’s family and friends. The world is diminished with his passing.